The Babolat Nadal 26 junior tennis racket is one of the newest additions to the Nadal junior line of rackets. This 26 inch racket is ideal for children between 10 and 12 years old or children approximately 55 inches tall. This Nadal racket is the junior version of the Nadal Pure Aero adult tennis racket and offers all of the same features of the adult version. The aesthetics are similar to that of the adult version as well but the racket is a great choice for young players who are playing more for fun than for anything else. It is great for beginners so if you are looking for a great racket to get your child started off playing tennis it will be a great option. This child sized Babolat Nadal 26 Junior Tennis Racquet is made with a light aluminum frame and so you will find that it is very lightweight yet very durable. It has an adequate head size so that there is a lot of room for error which inevitable for the newbie player. It comes pre-strung and has a black synthetic gut while being easy to maneuver making it great for your child who is just starting out in the game. This Babolat Nadal 26 inch junior tennis racket is made with Rafael Nadal branding and is made with an aluminum frame. 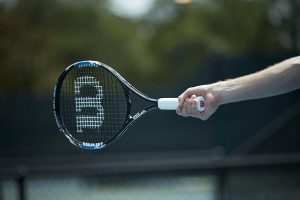 It is designed to be suitable for players from the ages of 10 up and is a replica of the adult racket – the Rafael Nadal AeroPro Drive which is also made from aluminum. The Nadal 26 inch racket is sized and designed with smaller hands and smaller frames in mind. It is not built for professional play and is more designed to be used for recreational use. This is a great addition to your child’s summer camp activities and with their own racket they can get into the game a lot more. You never know how far it will lead if you provide your child with a good quality racket to start playing with. This tennis racket is made with a head size of 105 square inches and has a total weight of 8.6 ounces when strung so you can see that it is extremely lightweight. The racket is 26 inches in length and has a grip size of 4 inches. Your purchase of this racket includes a head cover and the racket is pre strung so it is ready to be used right out of its packaging. If you want your kids to play tennis for the fun of it the Nadal 26 inch junior tennis racket from Babolat is a great option. It is the junior version of the preferred racket of Rafael Nadal who plays with the AeroPro Drive. This tennis racket is designed for kids from ages 10 to 12 years old. It is designed with an aluminum frame the racket is made to be durable as well as it is designed to be lightweight. The exterior of the racket is made to look like the AeroPro drive right down to its paint job which is something your child may be excited about if they are into the game of tennis to know Rafael Nadal and know his racket of choice. The Babolat Nadal 26 inch tennis racket is designed specifically for use by kids from 10 years old and up. While there are a number of available rackets for juniors or for children this age this one comes at a very affordable price. This is mainly because it was designed mainly for recreational play and so it doesn’t have a lot of features that lend to more power, or drive or crispness. If you are looking for a great tennis racket for recreational use by your children you will like the Babolat Nadal 26 Junior Tennis Racquet. It doesn’t have all the frills which allows it to be offered at a very affordable price. It is a great choice to teach your little amateur to play the game of tennis and it is lightweight so they will find it easy to use and won’t get fatigued using it during gameplay. 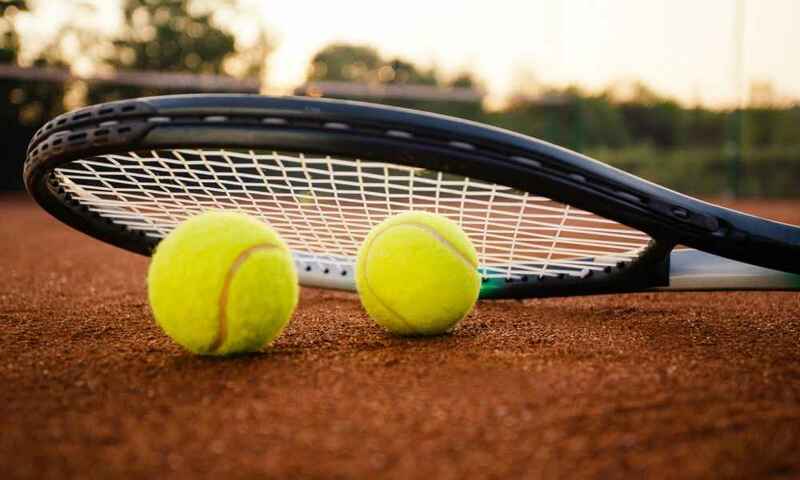 It is a great pick to help them learn the art of spin, power and control and then when they are more experienced in playing tennis you can upgrade them to a model that is more geared towards serious game play. You will find this tennis racket to be a great investment and you will be happy you made the purchase because we highly recommend and stand by this racket.